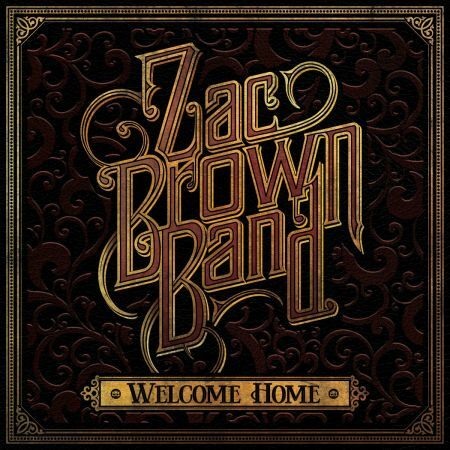 Zac Brown Band "Welcome Home"
Welcome home Zac Brown Band. The aptly titled new release from the group heralds a welcome return to what they arguably do best and creates a distinctly compelling listen. Whilst fans of the group will recognise Trying To Drive from 2010's live album Pass The Jar, the studio version is a gratifying addition to this album. The female vocals on this version come courtesy of Madison Ryann Ward (co-writer Aslyn takes female vocals on the original version) and she delivers a strong vocal with a distinctive tone that adds a bluesy edge to the track whilst complimenting Zac's vocal. The delicacy of the live version is built upon to create a gritty strength which supports the clever lyrics and for the most part is very successful but does verge upon becoming a little too heavy for short time at around 2 minutes 30 into the track. I have already listened to Trying to Drive multiple times and I am sure I will continue to return to it! Whilst Trying To Drive is certainly a strong song choice it is songs like 2 Places At 1 Time that really shine. Led by an acoustic guitar hook and string line, the relative simplicity behind the production allows for a spotlight on Zac's heartfelt vocal and the group's harmonies as a whole whilst still giving the track a well-rounded feel. A moment in the album that seems to be over far too quickly, 2 Places At 1 Time's bittersweet message is a relatable one that also feels incredibly personal to Zac and the band as a whole. A gorgeously crafted track that showcases Zac Brown Band at their strongest. 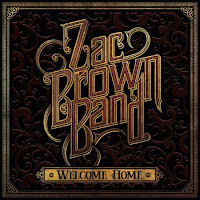 The 'island style' is something Zac Brown Band are well known for and that sound comes to the forefront in Family Table. The slightly frantic fiddle solo just over half way through lets the track down slightly but the combination of the reflective lyrical story and relaxed 'island style' instrumentalisation is a strong one. Start Over takes the overall style even further but actually isn't as strong as Family Table, the track seeming to lack the appeal of other similar tracks from previous releases (and of other songs on this album itself). The album's lead single My Old Man is placed just over halfway through the album and strips the instrumentalisation even further back than that of 2 Places At 1 Time. An incredibly emotional track that can't fail to connect with every single person who hears it, the autobiographical ballad progresses through an emotive lyrical story and the growth in the production for the last chorus is the final goose-bump inducing part of a truly great track. Whilst this album isn't perfect it's certainly a welcome return to Zac Brown Band's roots, proving that they don't need heavy rock styled production and vocals to deliver a great album. The involvement of various members of the band in writing each of the tracks - bar one - means this album feels very personal and is definitely one that deserves to be embraced and enjoyed. Labels: Zac Brown Band "Welcome Home"